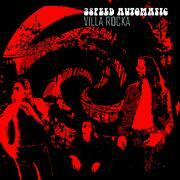 3Speed Automatic - "Villa Rocka"
This is quite a strange mix this record by this Dutch band. The A side is tracks gathered from their debut CD, No Mans Land. Side A is pure rockin' stuff with some pretty cool tracks but over all I was not that impressed. But damn, the B side totally blew my mind! It is a long adventure that was recorded for a cult Dutch film called Horizonica. This is worth the money for the record alone. I hope that his band will record more stuff like this as I really enjoyed it. It is hard to describe but it is damn good psychedelic music. For more information you can visit the 3Speed Automatic web site at: http://www.3speedautomatic.com.